The Byron Bay Surf Festival is the 22nd to the 25th this month and bigger than ever! We're excited to be the entertainment partner for the event. Friday night the 23rd is going to be huge with Australian rock legends Regurgitator. Remember this song? Oh and that isn't all...we also have The Beautiful Girls playing on Sunday 5:30pm don't miss it! It is our annual Sneaky Sound System party on Sunday the 7th of January from 9pm. This is one of the best nights all year. Lead singer Miss Connie brings the chart-topping hits 'UFO', 'Pictures' and 'I Love It' to the Beachy stage keeping you dancing all night long! Stay tuned to our Facebook page for ticket details. What are your plans for New Years Eve? 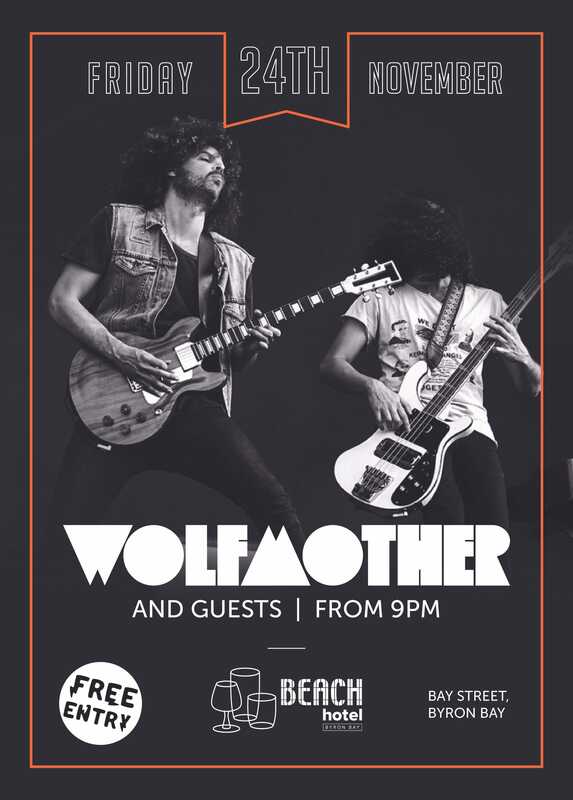 Join us for the biggest party in Byron Bay - PARADISE FOUND! Early bird tickets available at our bottle shop, calling direct 02 6685 6402 or Oztix. 18+ only. Bring in 2018 beach side, with a cocktail in hand with some seriously fun tunes headlined by YACHT CLUB DJ's. This is a party you do not want to miss, get your tickets here now before they sell out! 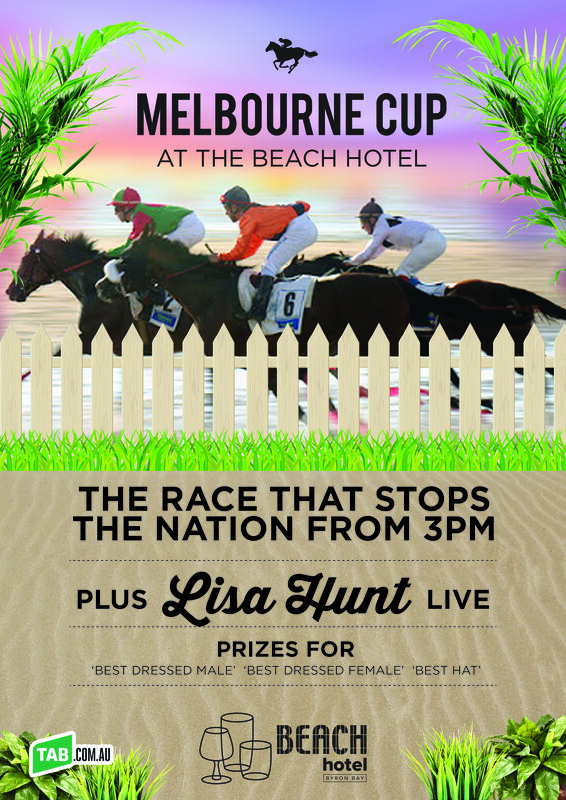 Come and celebrate the race that stops the nation, The Melbourne Cup here at the Beach Hotel Tuesday November 7th. Live music from soul singer Lisa Hunt and prizes for best dressed and best hat. Best of all it is FREE ENTRY, so get here early to get a good seat!